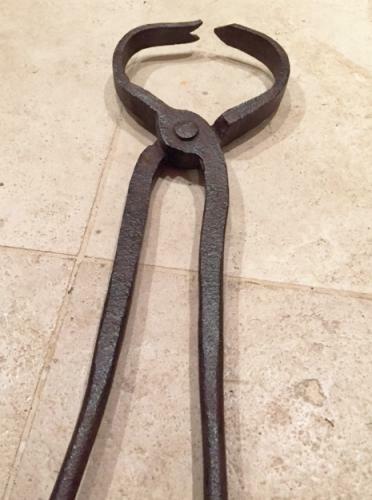 Rare Victorian Badger Tongs. Now totally illegal to use and sold as a museum interest only. Used to grab badger by it's neck when exiting the set after being baited by dogs. Very rare item. Long handle and well pitted with age.